GfK NOP (one of the world's largest 5 research companies) runs panels that focus on the media research space for some of Britain's largest broadcasters. The GfK Rate-It panel is the UK teenage public's chance to share their thoughts on the things they watch on telly and listen to on the radio - thereby influencing the programme maker's decisions. 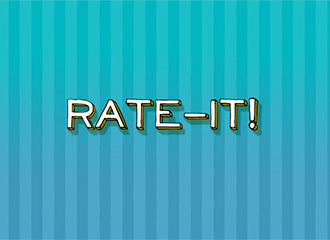 Rate-It is only for teens aged 12-15, and provides similar functionality but a wholly unique experience to GfK MediaView's panel. "The Hatchery initially presented GfK with exceptional value for money and a comprehensive understanding of our needs at a working level. They have since followed up on that promise with work of the highest calibre across the board." To revolutionise the research space and rejuvenate the existing panel with an attractive panel management system that integrates with the other internal GfK tools and delivers a high impact, usable user experience. In the case of Rate-It, the brief was further extended to require a focus on teen engagement techniques and design considerations. Thousands of people use the panel website to complete their daily surveys, and so scalability and usability were an important consideration. This is the largest and most complex project we have tackled. We paid attention to every pixel on every site that forms part of the solution, and we feel it is a masterpiece. GfK have won business because of the work we have done on this site, and we are proud to watch the millions of page views and visits to the site delivering real results - measurable by Google Analytics. Cloudbase™ underpins the entire panel management system, and provides the GfK staff with the ability to keep the panel pages fresh and up to date without having to jump through hoops to do so.